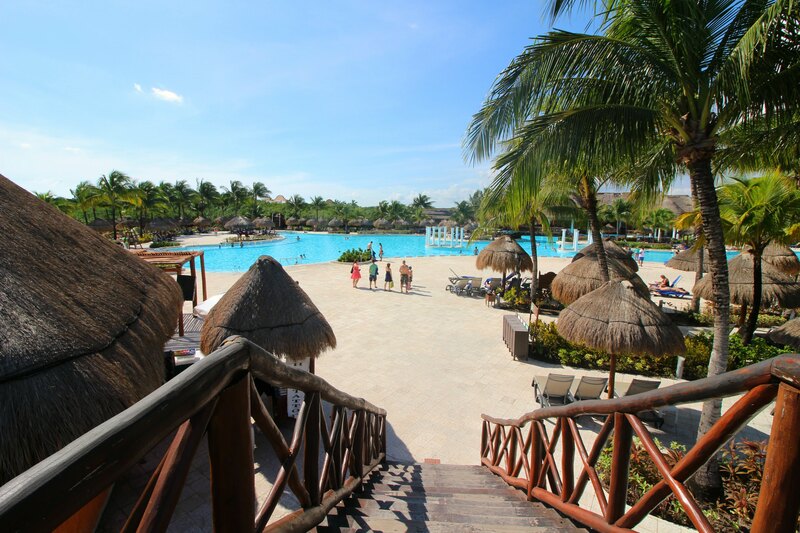 Grand Palladium Resort & Spa Riviera Maya The White Sands Suites Review – It's a Lovely Life! 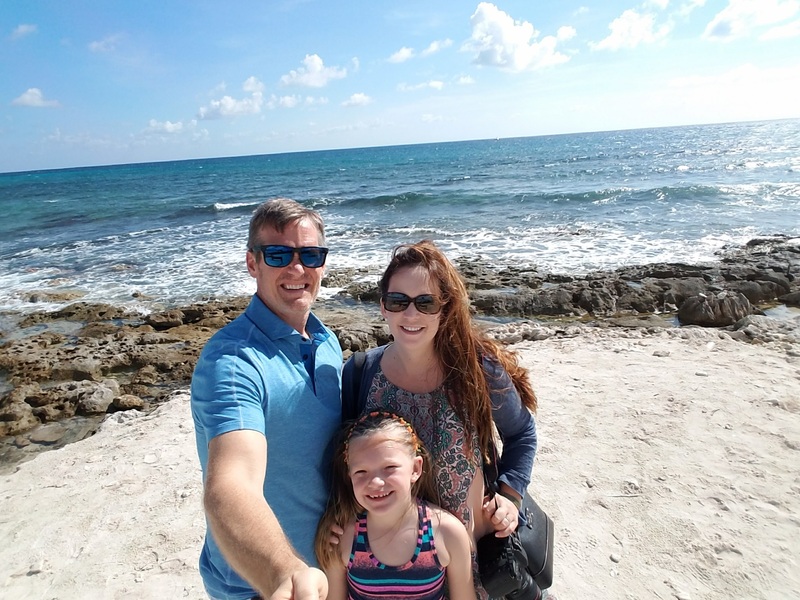 One post of our amazing family vacation to Grand Palladium The White Sands Suites easily flowed into two posts and I still felt there was more to say so I'm doing one last wrap-up post that will cover a full review style write up for those planning their own visit to Riviera Maya! Special thanks to Palladium Hotel Group for inviting us to experience this wonderful resort and for sponsoring this post. 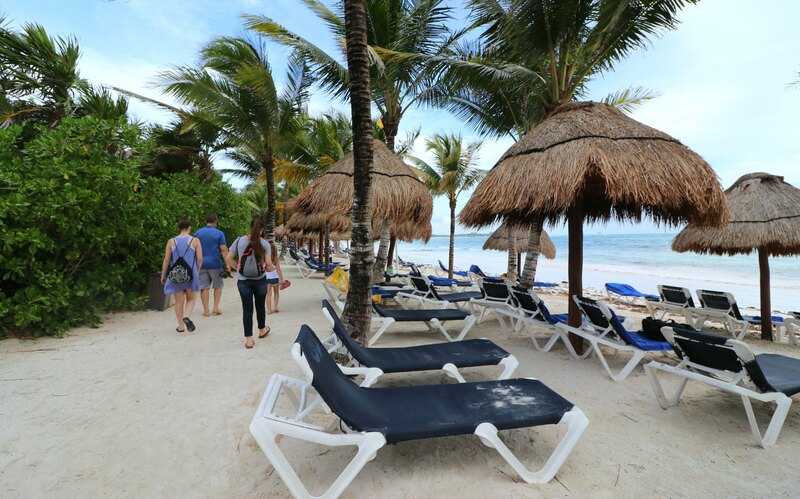 See all of our Riviera Maya articles here. 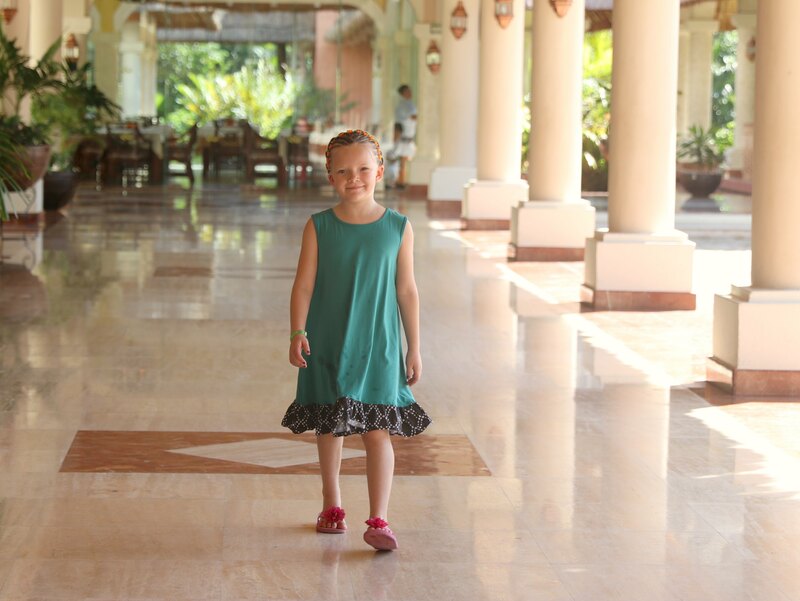 We stayed at the Grand Palladium, The White Sands Suites, one of five resorts on the property. They are all located on the same all-inclusive complex and all five are 5-star hotels with direct access to Kantenah beach. 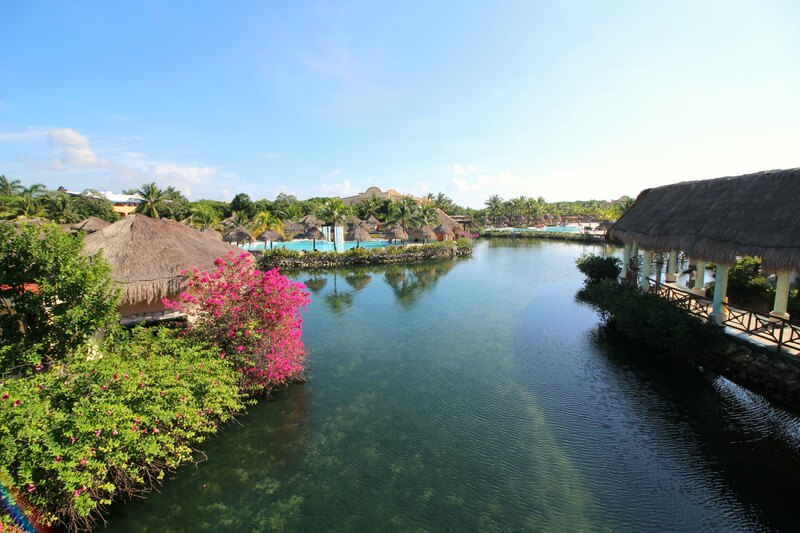 The resorts are connected with a network of nature trails that are fun to walk through and explore. 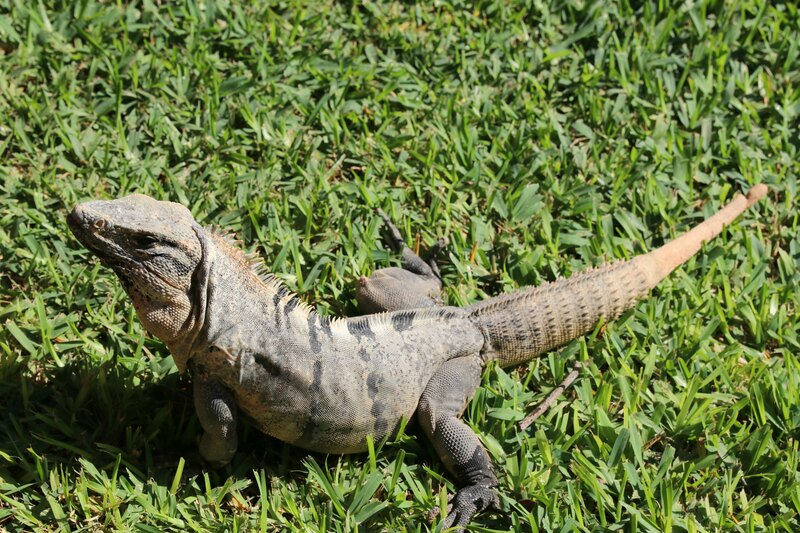 There is also a crocodile habitat, two greenhouses, sea turtle camp, and eco-tours. Getting here is easy. 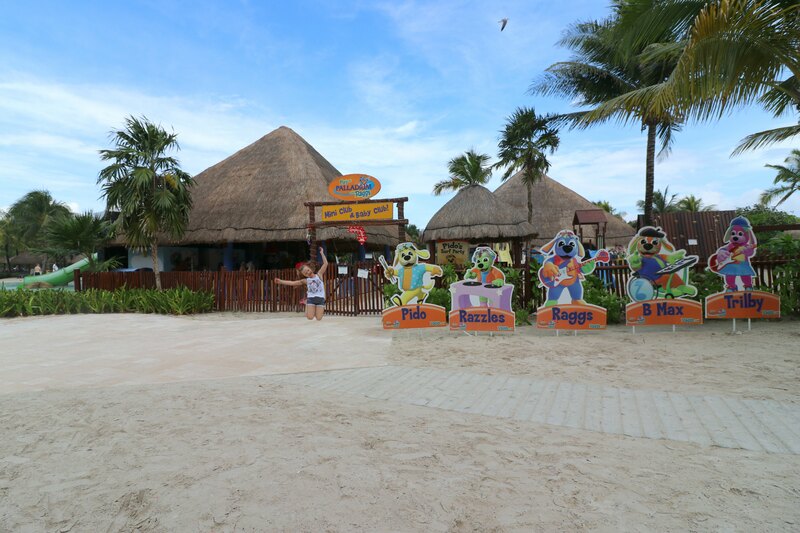 You fly into Cancún International Airport and then it is a one hour drive from there on a modern road. Wondering about water safety? 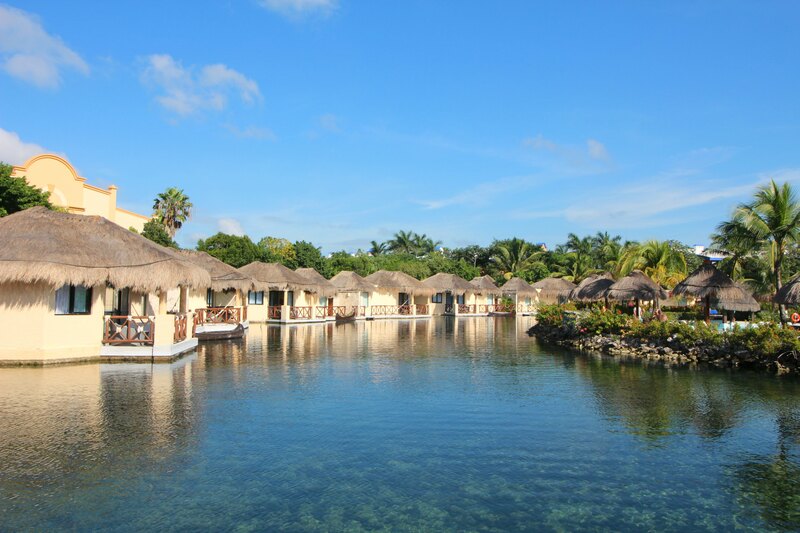 The water at the Grand Palladium Riviera Maya is filtered and drinkable and any of their off-site excursions will have bottle water available. 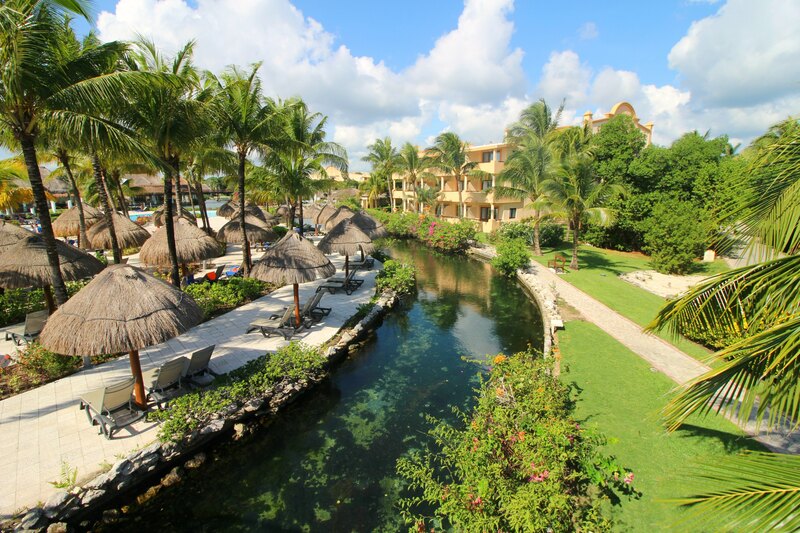 The resort has waterways throughout with pools and village lobbies all enclosed in a forest of jungle trees. The lobbies are all open air with plenty of luxurious touches. There are also bars in each of them serving alcohol, coffee drinks and other beverages of your choice! There are even bungalows on the water! 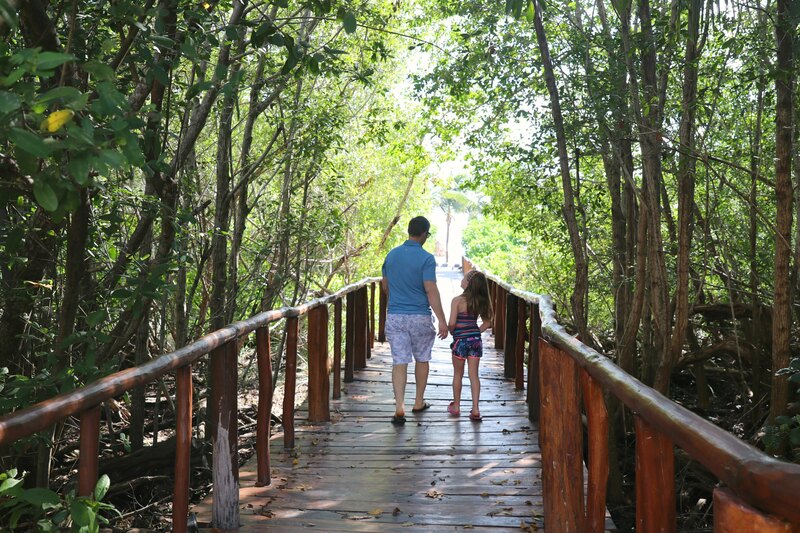 Since the resort is built in a forest, the 30-second walk to the ocean is through tree canopied bridges. There is wildlife around every corner too! There have even been monkey sightings! You can stay in your resort or head to the other ones on the property by walking, taking a boat, a golf cart or little train. 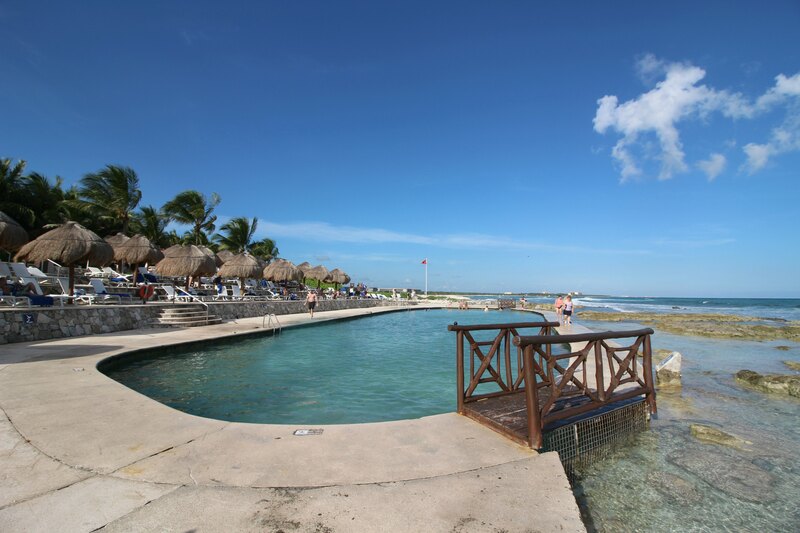 The pools are beautiful and spacious featuring seven freshwater pools and one seaside saltwater pool. There is even a pool area for kids! 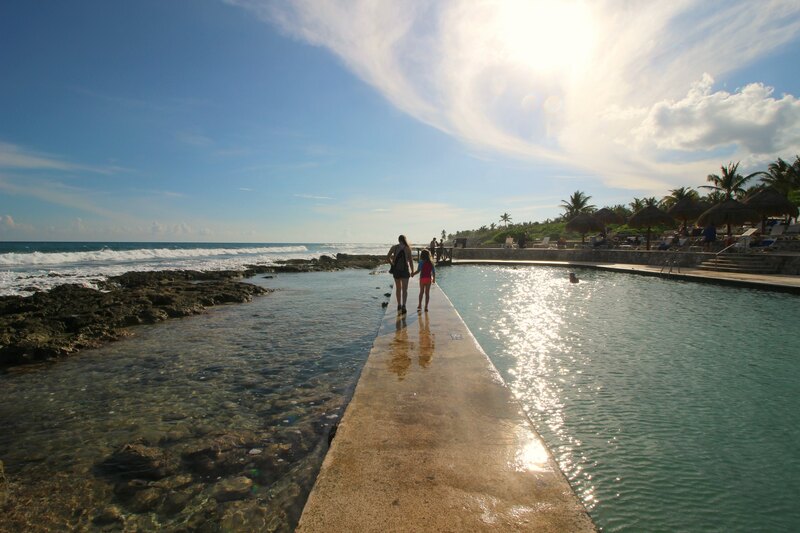 The salt water pool on the edge of the ocean is the coolest pool ever with the water feeding into the pool and even smaller fish swimming in and out! 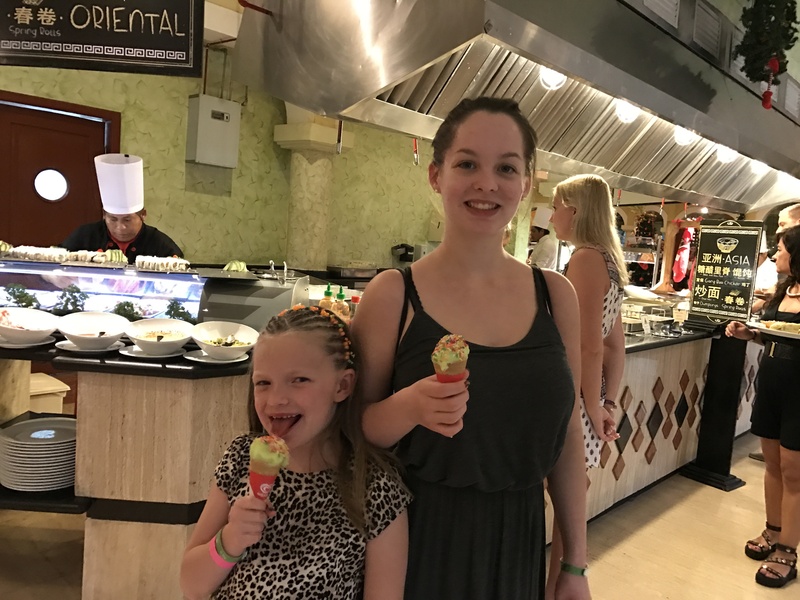 All hotels on the complex have access to the 9 themed restaurants, 5 buffet restaurants, 25 bars, and 9 swimming pools that are sprinkled throughout the resorts. 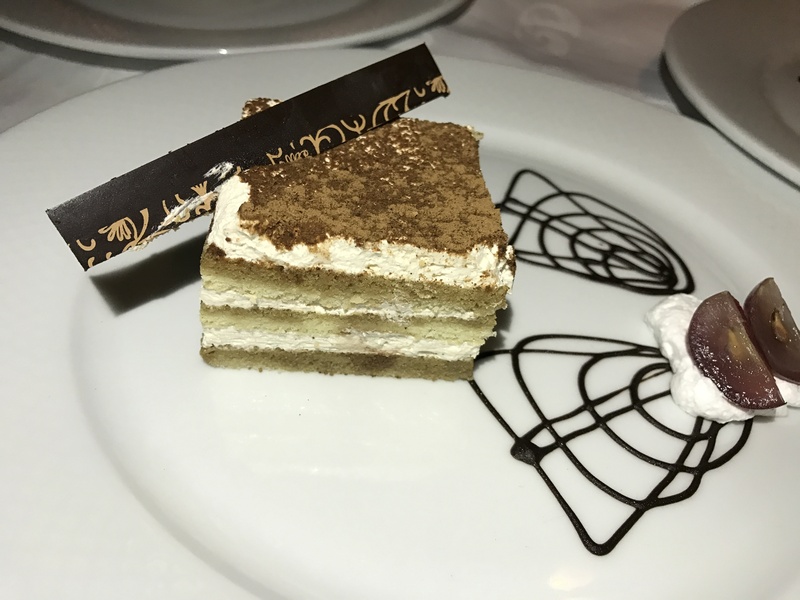 The desserts here were scrumptious and beyond anything we expected. There were rows and rows of them and they all had a homemade flavor and beautiful plating. 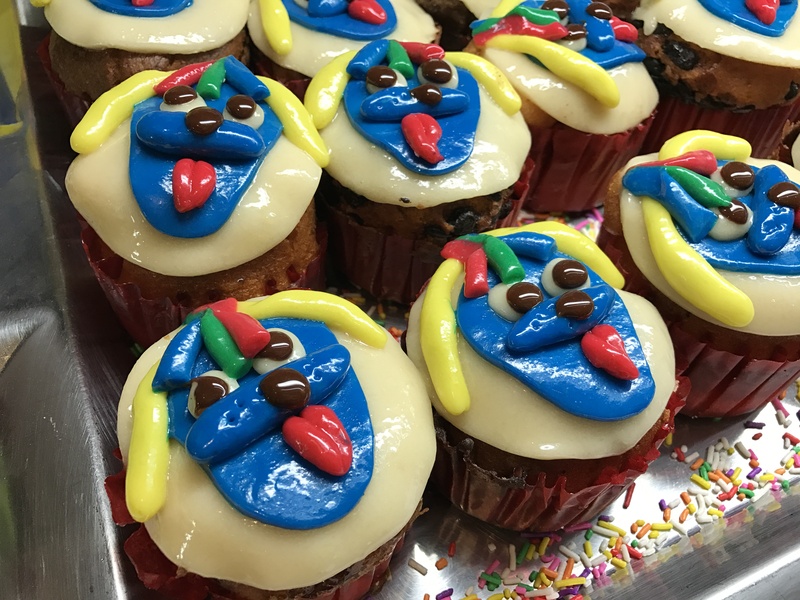 Fun desserts for the kids too! Plus they had an expansive ice cream and sorbet offering for all palates. This resort is located on the beach in Kantenah with white sandy beaches and rocky areas that lead to tide pools. There are hammocks, lounge chairs and snacks up and down the beach for your enjoyment. We all could have spent all day here. It is nestled in the trees with a sprawling array of treatment rooms, relaxation waiting areas and water every which way you look. There is an adults only pool too. Pete and I had massages while the girls had manicures and pedicures. Emmy also had her hair braided, making this perfect for the whole family. I recommend scheduling time at the spa the first day you are at the resort to really kick off your vacation! 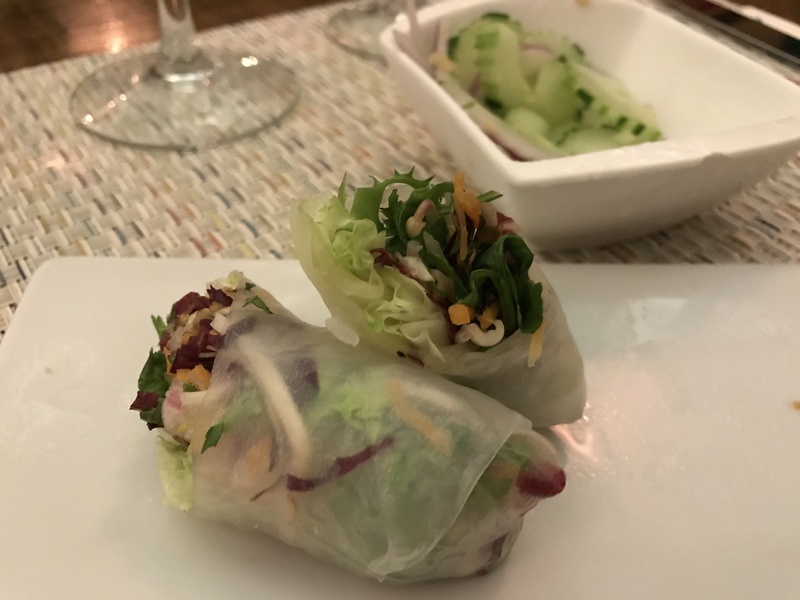 Although we don't end up spending a lot of time in our hotel rooms, we still like to stay in upscale accommodations and we were thrilled with our suite. It is a family suite that was recently updated with a family room, large bathroom, bedroom (with a king sized bed) and balcony on one side. It was connected to another room with two queen sized beds, a sitting area (with a pull-out couch) and another large bathroom and balcony. It was perfect for our family of 5. 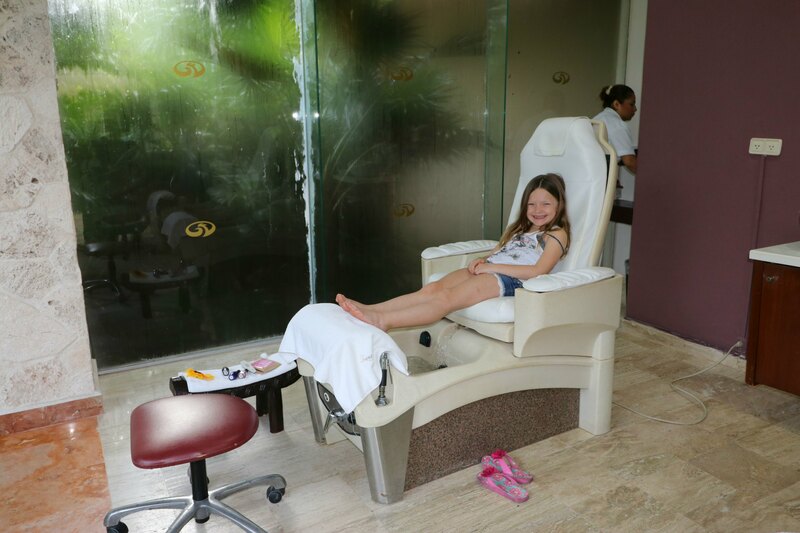 There is so much to do for everyone in the family starting with fun clubs for all the children. There is the Baby Club (for children between 1 and 3), the Mini Club (4 -12), and Black & White Junior's Club (13+). Emmy had so much fun at the Mini Club. Everyone that works there really loves kids and they set out to make sure that everyone has fun and is well fed at all times. Em loved getting surprised with cookies each time she was there! 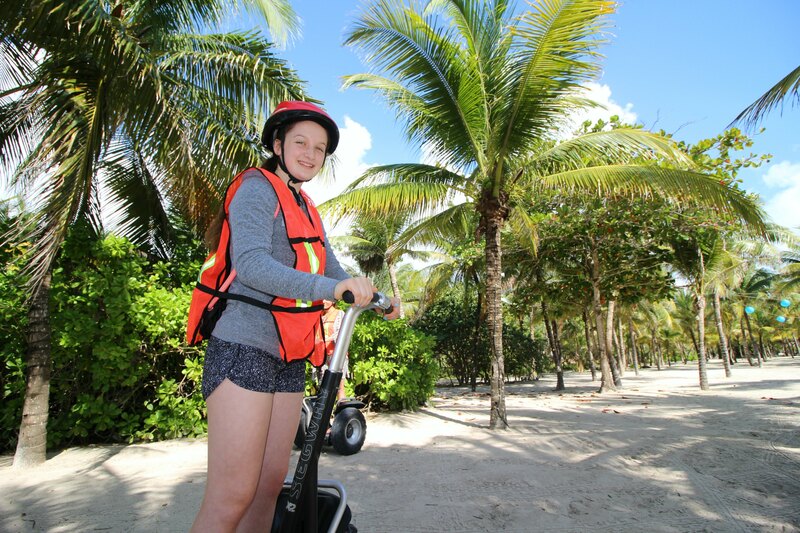 The teens had the club to go to along with a segway tour, the beach to hang out at, the pools, the spa, ordering room service, entertainment options and so much more. As the girls get older I realized that they are more into having options than ever before. One moment they want a snack or a latte and the next they are ready for a swim. 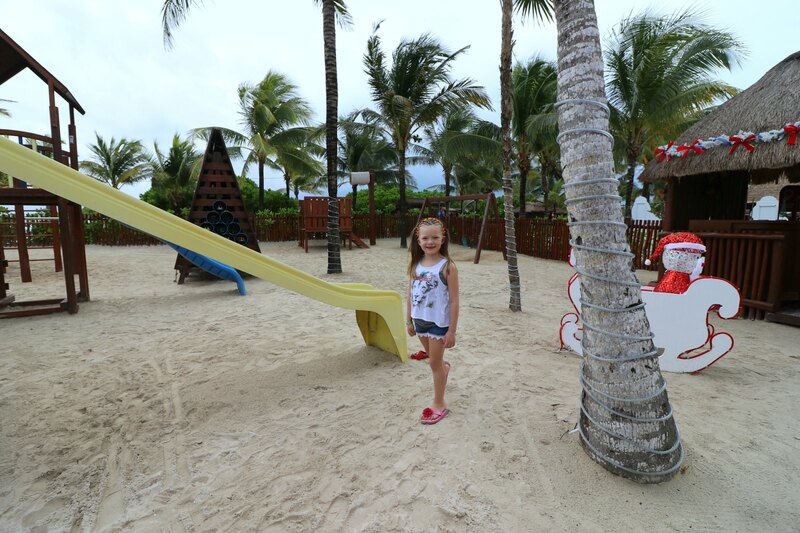 This resort is great because they can have the freedom to explore on their own while in a safe compound. There were hours that they were off on their own and we only saw them for meals. The more I talk to others with teens they too join me in really considering the options and enjoyment of their older kids when they chose where to vacation. 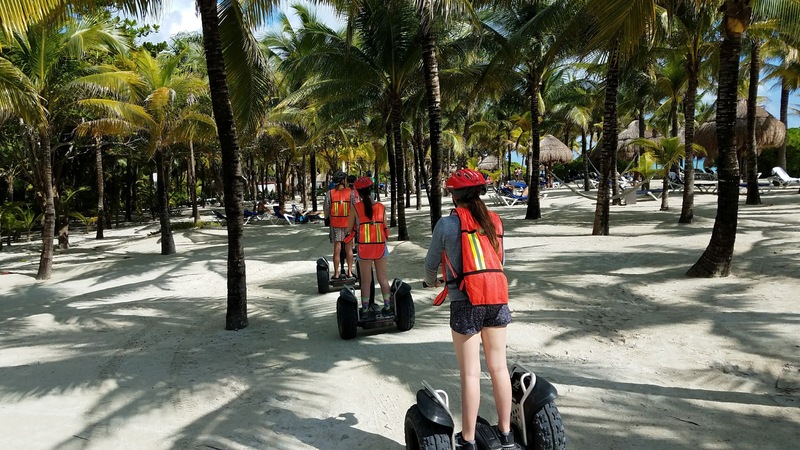 That is why an all-inclusive is a great option because there is so much to do on site and pretty much everything is included so teens can go off and have a good time. 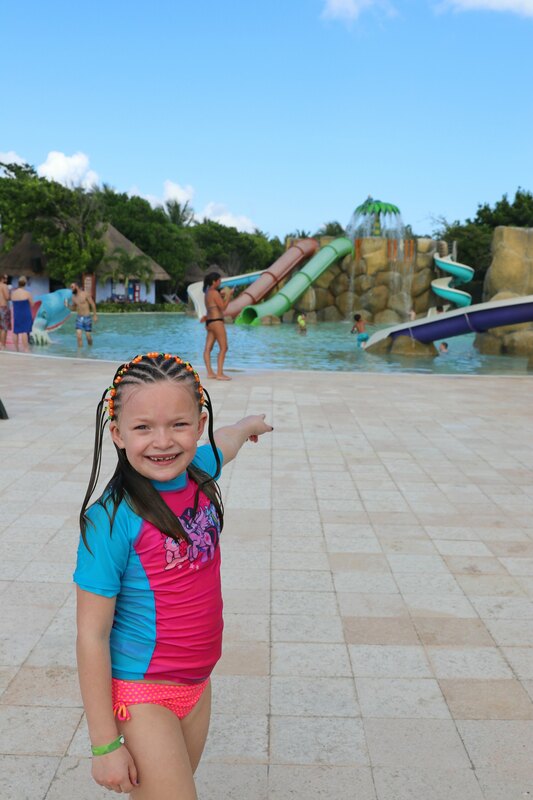 Here are a couple more videos of our time at The Grand Palladium Resort & Spa Riviera Maya. 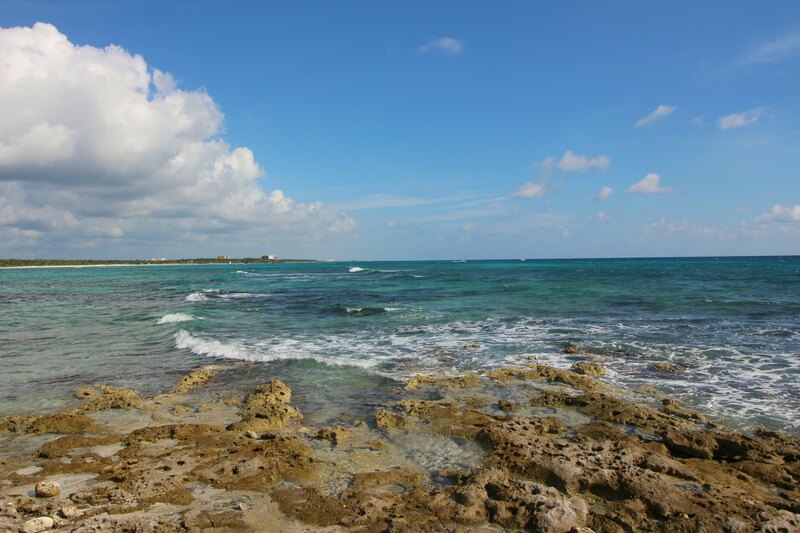 Here is more info for you to know before visiting Riviera Maya, Mexico. The official language of Mexico is Spanish. Check for current rates, but when we were there, 1 US dollar was approximately 18.07 Mexican Pesos. 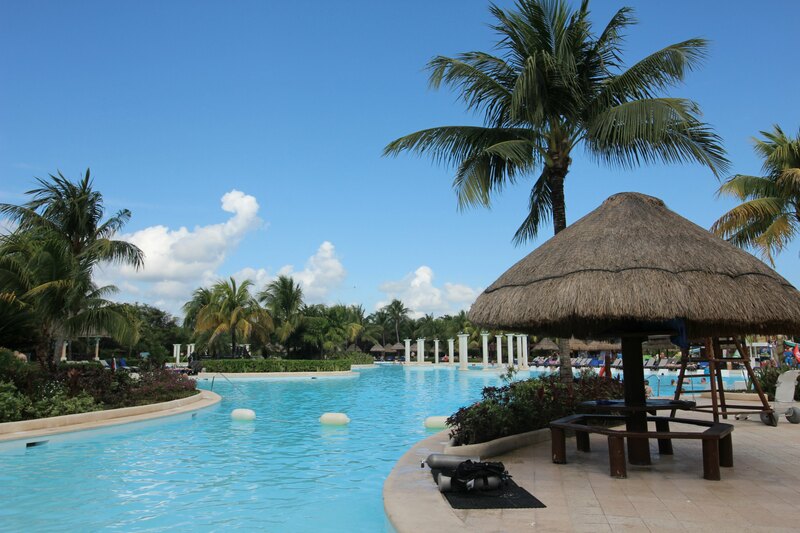 The average high temperature of Riviera Maya is 80- high 90's. 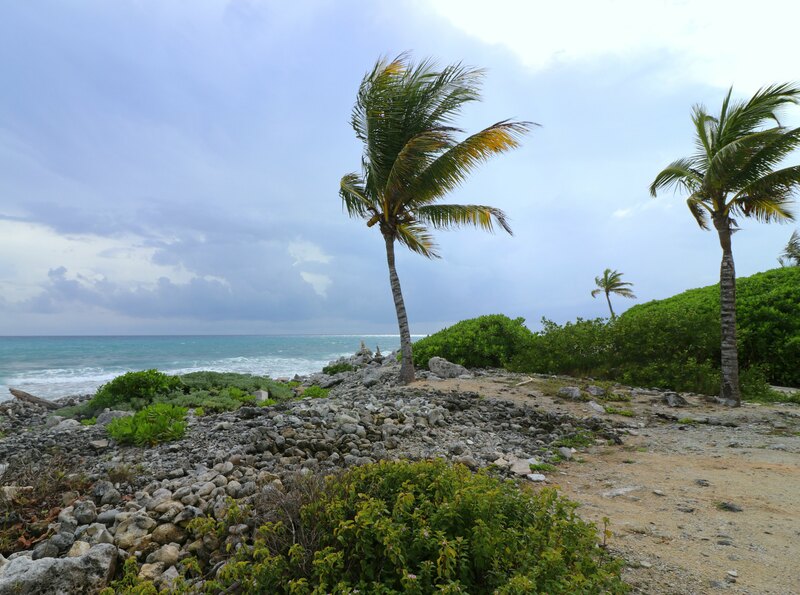 Mexico uses 100-120 Volts and North American sockets (the same as U.S.) The Time Zone in Riviera Maya falls within the Eastern Standard Time (EST). There are a lot of nonstop flights to the US and more are being added all the time. We felt very safe in Cancun and it was more like an extension of America down there with many recognizable stores along the highway. Reese Family Vlog 121 – Maddie Goes To Acting School! Reese Family Vlog 122- Emmy’s 7th Birthday! Looks like an awesome place to stay, and to play. I love the bungalows on the water. Ahhh! 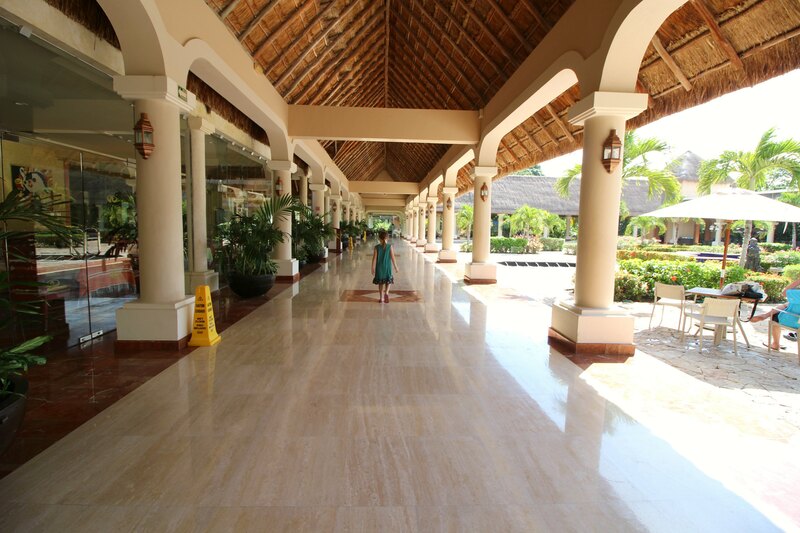 Grand Palladium is so beautiful! I can’t believe those grounds! I would love to take a trip there with the family. That place looks absolutely amazing! There is so many places that I want to go already, but I need to add this one to my list. Wow it looks like a spectacular place to visit. I wouldn’t mind going there one bit. Your photos are always so welcoming and make me want to go to each destination! I would love to visit here someday. What a solid review! 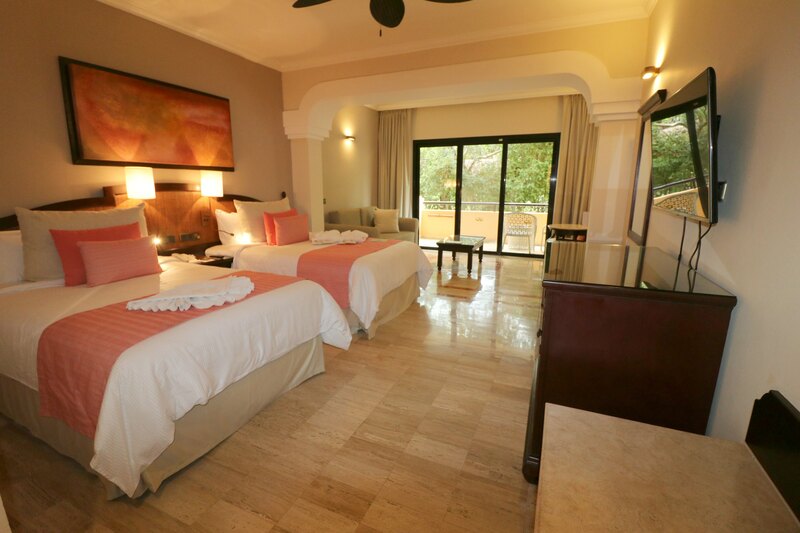 That Grand Palladium looks like a most ideal place to stay for a vacation! I mean – wow! And that saltwater pool is totally calling my name. Jealous… but loved seeing your pics! What a gorgeous facility with amazing views. I’d love to take my family to this resort, my kids would love it. This resort seems to have it all. I really need to book a vacation there. I love that it’s in a forest. Oh my goodness. What a beautiful place. Oh that waterpark looks like lots of fun for the kids! What a beautiful resort. Hubby and I are looking to go away for our 10th wedding anniversary, I will have to check this out. That sounds amazing! It all looks great, I think I’d love one of the bungalows and those chairs in the pool too. Absolutely stunning views and what a luxurious experience! So much for the whole family! This resort looks amazing. I have been researching different resorts to go to next winter. This is definitely on the top of my list now. This truly looks the ultimate resort for families!between the activities the food and all the luxurious amenities this looks like the getaway of a lifetime! What a beautiful place! It makes me miss the sun and sand so much!! Great review! Looks like a great resort for the family. Definitely adding this to our list! This place looks incredible! My 6 year old daughter has been looking through your photos on your post with me and has now asked if we can go there on our next trip! the resort is so beautiful. I love that they have different pool options for people. 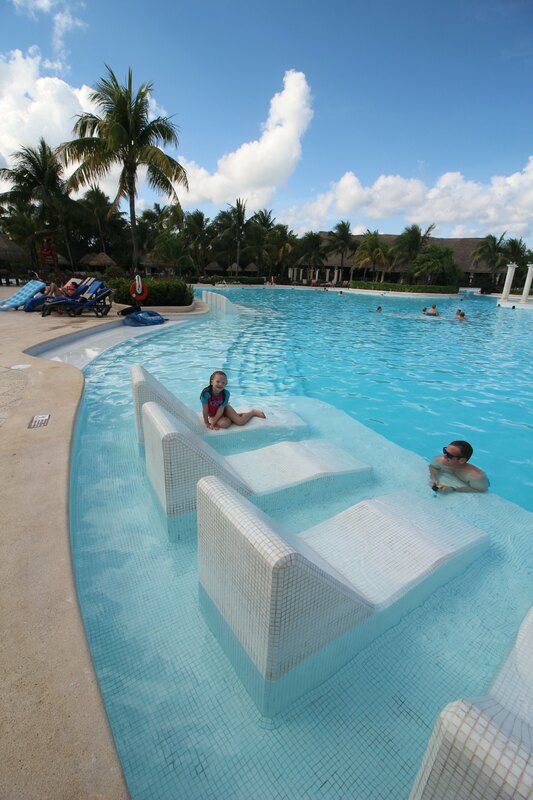 I am a huge fan of loungers in pools, because I love being in water!! This resort looks amazing! The beaches look so beautiful! It sounds like there are plenty of activities to keep everyone entertained too! Wow, that waterway is something else! My bucket list has an over-the-water-bungalow stay on it. Now I know where to go! After reading this review and seeing your pictures, I totally want to go visit. Thanks for sharing. This looks like a wonderful resort! And the food sounds amazing. Glad you all had such a wonderful time. This trip looks like so fun and amazing! We are currently looking into going somewhere tropical and this place looks amazing! Thanks for a full guide and review. This resort really looks so amazing to me! I am interested in checking it out more!! It looks like you all had such a great time at the resort! I would love to take my family there! The kids would love it! What a dream location! Plus there’s so much to do for all age groups that it would be perfect for a large family gathering! Looks like you had a perfect trip!! Wow, this place looks absolutely amazing!! Definitely makes me want to book a vacation there ASAP! This resort is just absolutely beautiful. 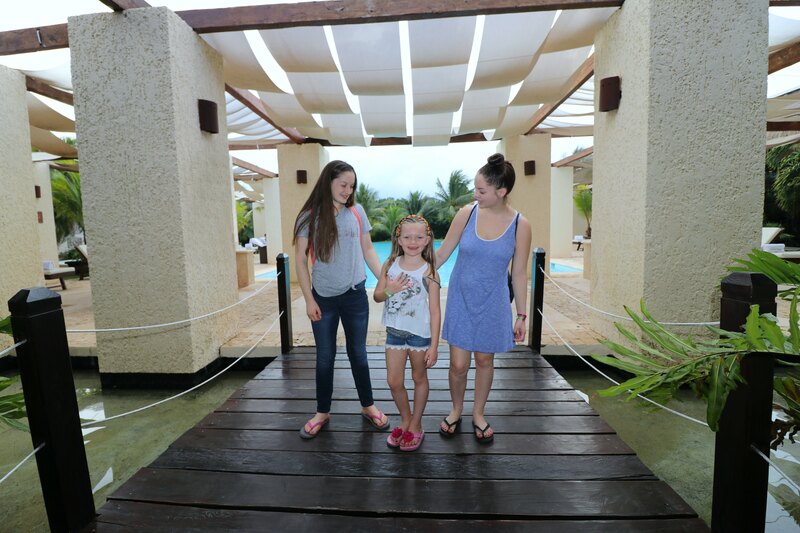 It looks like it is the perfect destination for taking the entire family and making some wonderful memories together. I love all inclusive resorts especially when it’s a family friendly place. It’s so nice to be able to spend time with your kids but to have your own time as well while they are occupied with activities. This resort looks like it has everything you need and is simply beautiful. Haven’t been to Mexico, yet! Friends keep telling me since I love Hawaii I should check out Cancun. Looks amazing. Did you snorkel? How was the ocean? 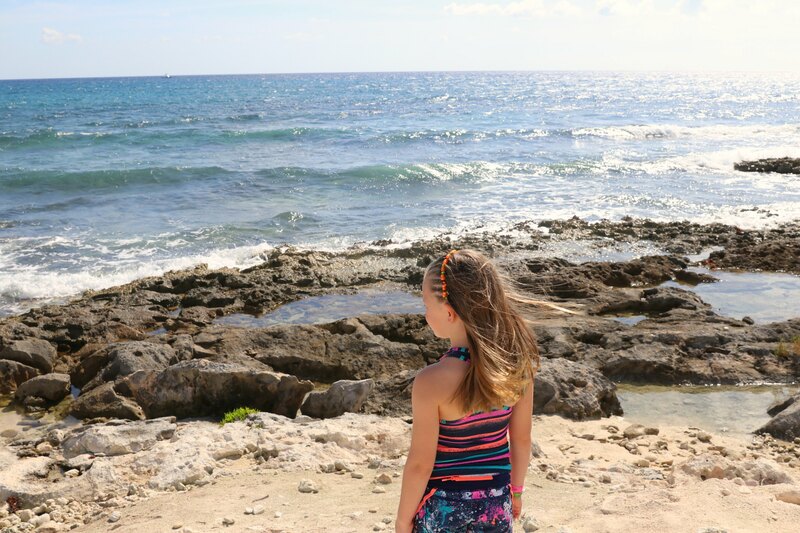 We thought it was similar to Hawaii too and we loved both so I’m sure you will too! We didn’t have enough time to snorkel but that was a very popular activity here. The beach was perfect for snorkeling and the salt water pool that feeds from the ocean was where the beginners started and then moved out into the ocean. 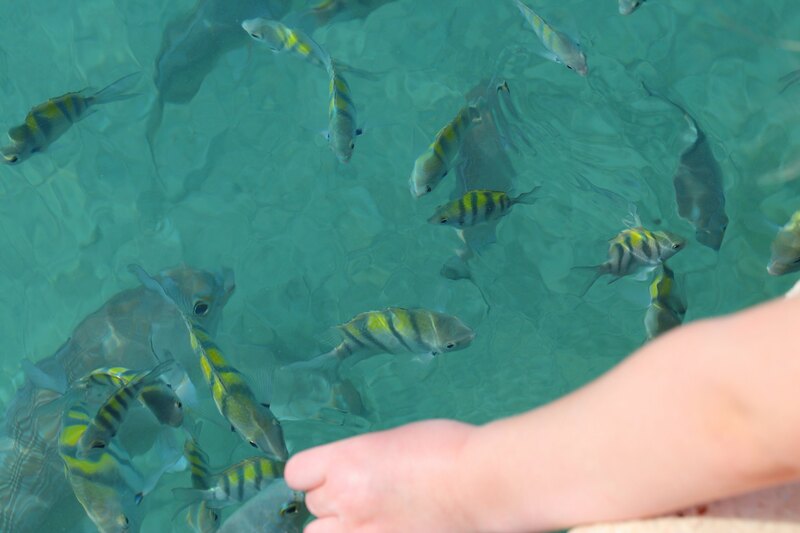 We heard so many people talking about all the colorful fish we saw so we are totally doing that next time! This is such a gorgeous hotel!! The spa looks amazing and that’s exactly what I need right now! )) the beach is also breathtaking! 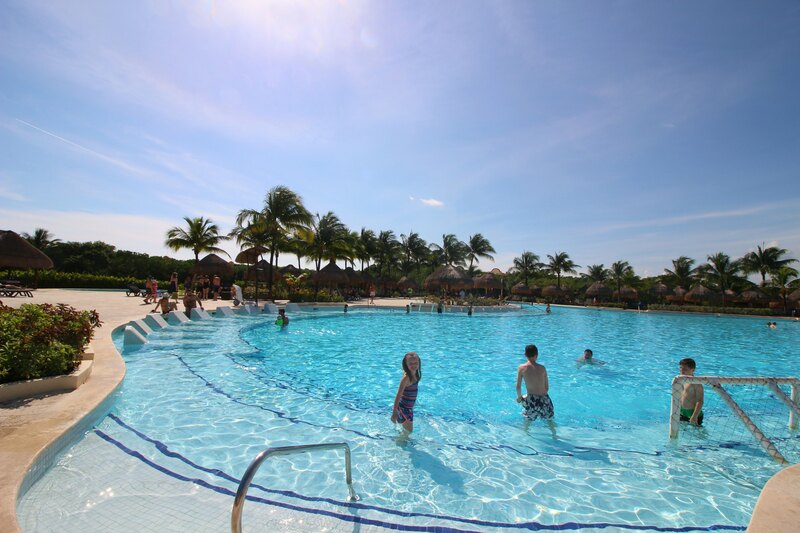 Not to mention all the beautiful pools! And food! I need a vacation! Wow, love your pictures. 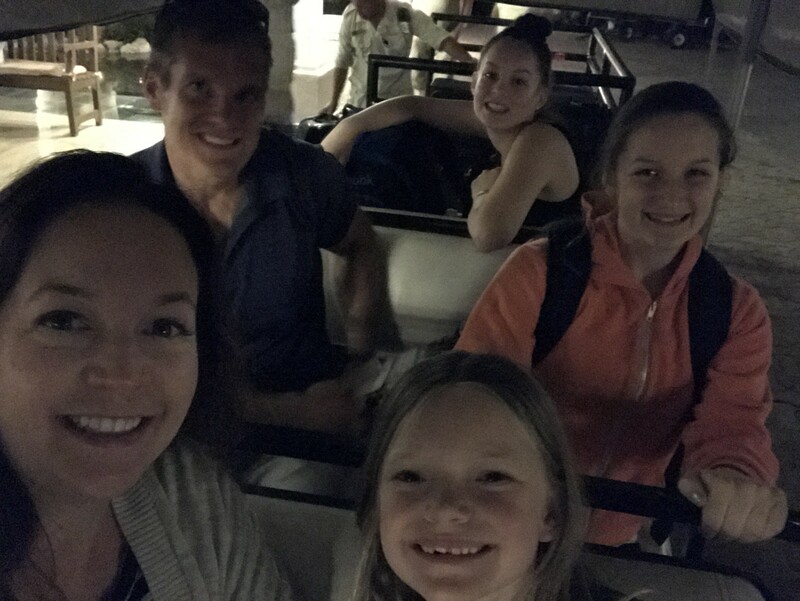 Looks like loads of fun for an amazing family vacation. You little girl looks super excited! WOW, this looks absolutely perfect for our next family vacation! I have four kids so water slides, kids club, and suites accommodating the 6 of us are all MUSTS. Definitely saving this post for when the time comes! We stayed at that same resort in May 2017. It is an awesome place! 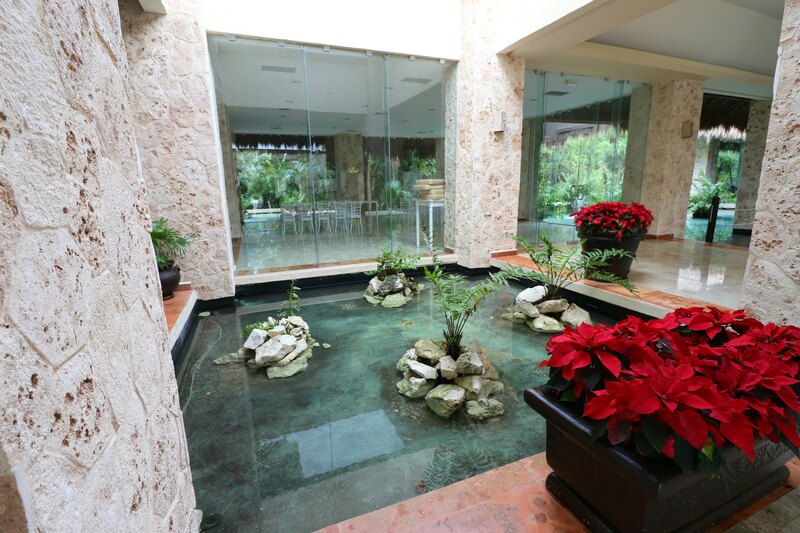 We stayed at the Gr as nd Palladium Kantena area in a Mayan Suite. It was worth every extra dollar for the upgrade. 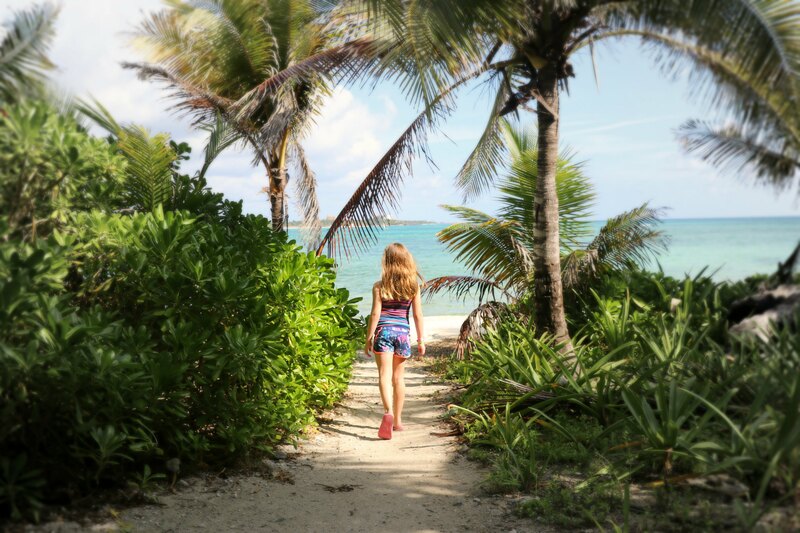 We could almost walk out our door and onto the white sand beach. I would love to go back.